The 'Refund Banker Scheme,' which commenced from 24th Jan 2007, is now operational for Non-corporate taxpayers assessed in Delhi, Mumbai, Kolkata, Chennai, Bangalore, Bhubaneswar, Ahmedabad, Hyderabad, Pune, Patna, Cochin, Trivandrum, Chandigarh, Allahabad, and Kanpur. 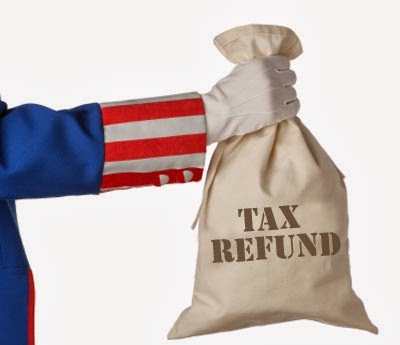 In the 'Refund Banker Scheme' the refunds generated on processing of Income tax Returns by the Assessing officers/ CPC-Bangalore are transmitted to State Bank of India, CMP branch, Mumbai (Refund Banker) on the next day of processing for further distribution to taxpayers. RTGS / NECS: To enable credit of refund directly to the bank account, Taxpayer.s Bank A/c (at least 10 digits), MICR code of bank branch and correct communication address is mandatory. Taxpayers can view status of refund 10 days after their refund has been sent by the Assessing Officer to the Refund Banker - by entering 'PAN' and 'Assessment Year' below. Status of 'paid' refund, being paid other than through 'Refund Banker,' can also be viewed at www.tin-nsdl.com by entering the 'PAN' and 'Assessment Year' below. 'Refund paid' status is also being reflected in the 'Tax Credit Statements' in Form 26AS. Please enter your Permanent Account Number and Assessment Year for which status of refund is to be tracked.